Follow the links to learn more about important information for seniors. Cabarrus County Human Services is working to address an immediate need for foster families that reflect the cultural and ethnic diversity of our area. Human Services provides ongoing support, training and licensure for families to temporarily care for abused and neglected children. Potential foster parents receive training on dealing with child abuse and neglect, working with birth parents and helping foster children deal with the challenges they face. Classes also help potential foster parents gain insight on life as a foster parent. Foster parents must be at least 21 years old, have a stable home and income, submit fingerprints and pass a criminal records check, maintain a drug-free environment, complete all required training and receive licensure from the State of North Carolina. Foster parents receive financial compensation from the agency for a child’s room, board and other living expenses. For more information, email foster@cabarruscounty.us or call 704-920-1400. Take the guess work out of waste collection with CARTology. Cabarrus County, Concord and Kannapolis partnered to launch this tool, which keeps residents informed about waste management services and programs. The system includes a calendar, reminder system and Waste Wizard, which provides information on how materials can be reused, recycled, composted or disposed of within our community. There are two ways to access the system. 1: Visit the CARTology page to access the entire suite of new tools. 2: Download the new mobile app by searching for CARTology in the App Store (iOS) or Google Play Store (Android). For more information on CARTology, call 704-920-3209. Combined Cabarrus County and municipal real estate and personal property tax bills mailed to residents in July and were due on September 1. Payments are classified as past due if not paid before January 8, 2019. Once a tax bill is past due, it is subject to collection actions and/or tax foreclosure. The County’s tax collections department will work with taxpayers throughout the year on payment plans that pay the bill in full by the delinquent date. It is the responsibility of the taxpayer to contact the collections office to request the payment plan option upon receipt of their annual tax bill. For assistance with a payment plan or other information on your tax bill, call the Tax Collector’s Office at 704-920-2119 or email taxinfo@cabarruscounty.us. 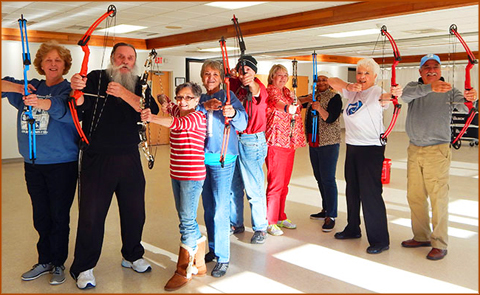 Each year during the Open Enrollment Period, Medicare beneficiaries have the opportunity to compare and evaluate their current plans and make changes as necessary. Just as your health needs may change from year to year, so may the benefits and costs of your health plan. By comparing plans during the Open Enrollment Period, Medicare beneficiaries can save money and make certain their 2019 plan will be the best for their needs. The Open Enrollment Period begins on October 15 and runs for seven weeks to give you enough time to review and make changes to your Medicare coverage. All changes must be made by December 7 to ensure that your coverage can begin without interruption on January 1. For more information about the Medicare Open Enrollment Period, call 1-855-408-1212 or visit www.ncshiip.com. Between November 26 and December 8, library patrons with overdue charges can bring canned or packaged non-perishable food items that have not expired to any branch of the Cabarrus County Public Library System and receive a $2 per unit credit toward overdue fines. The program does not apply to fees for lost or damaged books. Cabarrus County library branches are located in Concord, Harrisburg, Kannapolis and Mt. Pleasant. For more information, visit the library website, follow the library on Facebook or call 704-920-2050. Cabarrus County Helping Hearts and Hands invites the community to select a tree tag and make holiday wishes a reality for local children, individuals in group homes, senior citizens, veterans and others served by Cabarrus County’s partner agencies. Tagged trees will go on display beginning November 15 at the Cabarrus County Government Center, Cabarrus County Senior Centers (Concord and Mt. Pleasant) and branches of the Cabarrus County Public Library System (Concord, Harrisburg, Kannapolis and Mt. Pleasant). Unwrapped presents in gift bags are due back to the tree location where you selected the gift tag by December 7. Cabarrus County remains a place where folks want to live, work and build a family, and residents are largely content with County programs and services, according to the 2018 Community Survey Findings Report administered by ETC Institute. Cabarrus County rated above the national average in 19 of 20 comparison areas and rated 20 percent above the national average in the overall quality of County services. According to the survey, 88 percent of respondents were either very satisfied or satisfied with Cabarrus County as a place to raise children, while 87 percent said the same for the county as a place to live. ETC Institute also examined the importance residents placed on various aspects of living in Cabarrus County and the level of satisfaction with each area. The analysis identified the top priorities of residents as growth management, crime prevention, protection of water quality and the environment, and educational facilities. E-mail outreach@cabarruscounty.us with any questions or comments about the survey. In June, Cabarrus County Board of Commissioners approved the fiscal year 2019 budget, which includes a 2-cent increase on the previous tax of 70 cents. The budget year runs from July 1, 2018 through June 30, 2019. 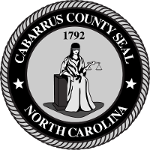 The increase means the owner of a $160,000 home (the median assessed home value in Cabarrus County) will pay an additional $32 per year in property tax. Cabarrus County Courthouse visitors are no longer allowed to bring electronic devices into the building. Court officials from Judicial District 19A issued an administrative order that prohibits courthouse visitors from bringing in cellphones, computers, electronic tablets, cameras or other electronic devices capable of recording or transmitting sound or images. Visitors are encouraged to safely secure electronic devices in their vehicles to avoid issues. Visitors who are involved in cases may seek authorization from the presiding judge to bring a restricted electronic device into the courtroom if necessary for court business. Rob Wallace Park in Midland is now home to the Mayor Kathy Kitts Memorial Butterfly Garden. “We want park visitors to use this garden as a place of respite to reflect and recharge, all in the memory of Mayor Kathy Kitts,” Steve Morris, chair of the Cabarrus County Board of Commissioners, said during the May 5 dedication ceremony. The memorial garden was the result of a partnership among Cabarrus County, the Town of Midland and Carolinas HealthCare System NorthEast. For more information on Rob Wallace Park, call 704-920-2727. Beginning November 1, Cabarrus County parks will operate Monday through Friday, 8 a.m. to 5 p.m., Saturday and Sunday, 9 a.m. to 5 p.m. These hours are good through February 28.